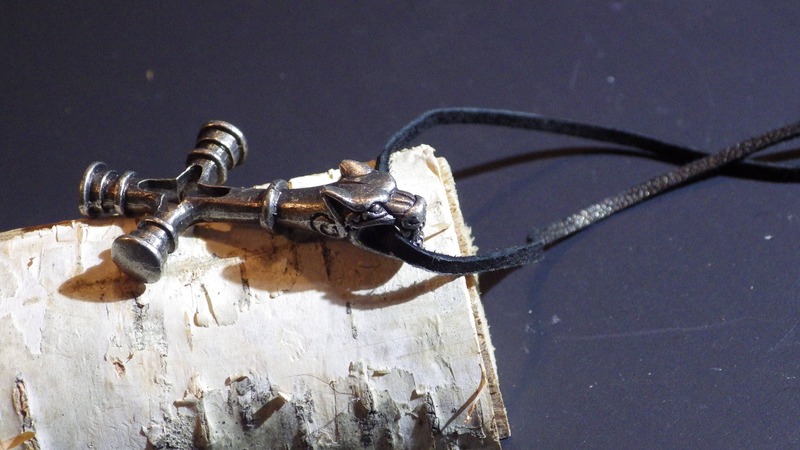 This pendant depicts the stylized head of Fenrir, the wolf that slays Odin during Ragnarok (the end of the world). 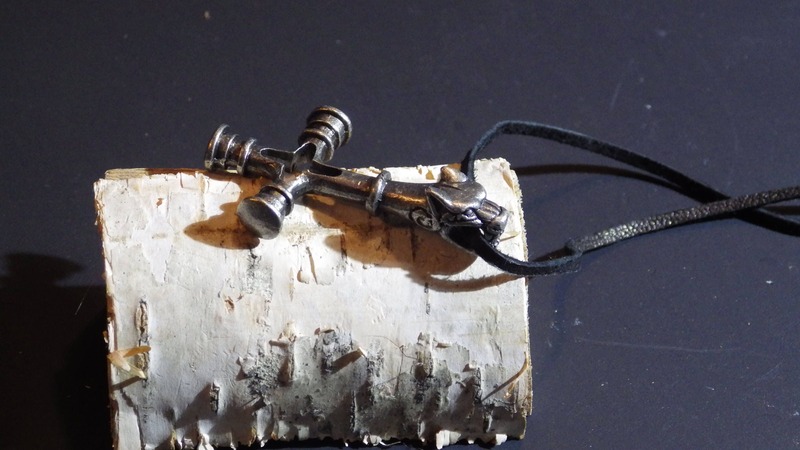 It is a great mixture of themes, reminiscent of Thor's hammer, the Christian Cross, and Fenrir from Norse mythology. 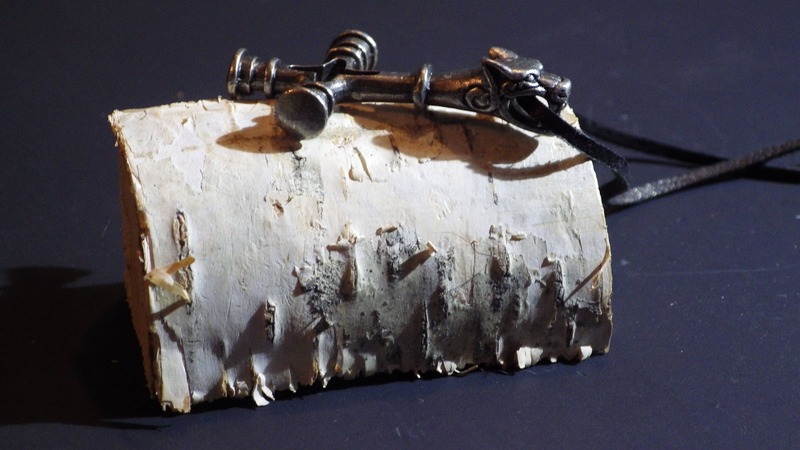 This pendant is inspired by jewelry, wood carvings and other artwork found on the Icelandic locality of Fossi, as well as the isle of Gotland (Sweden) and from dig sites in Norway. 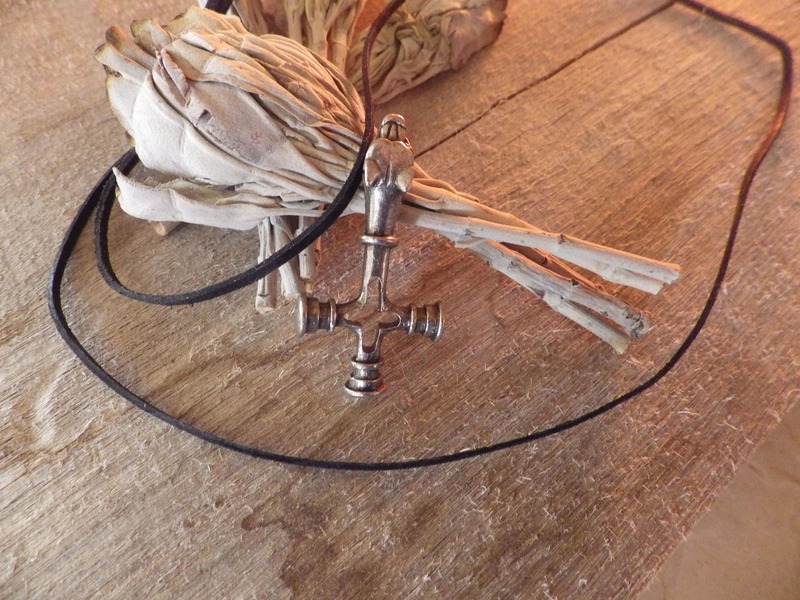 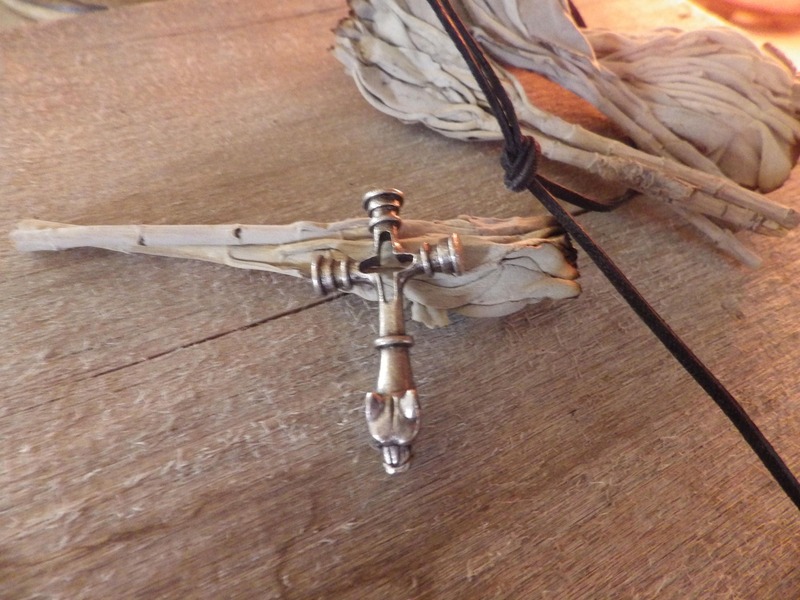 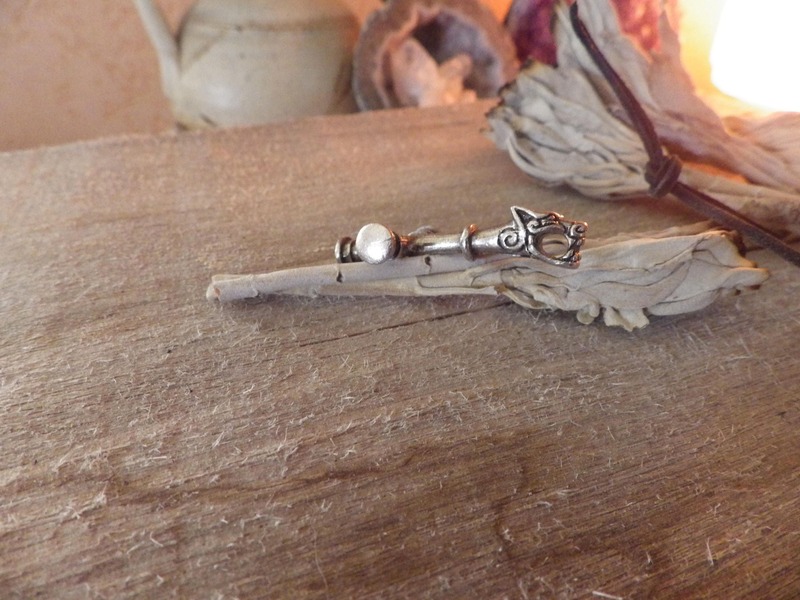 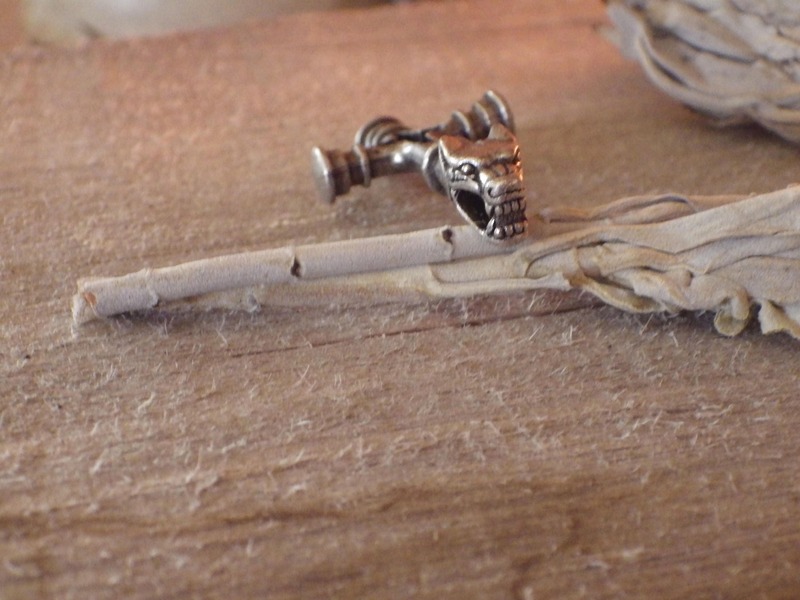 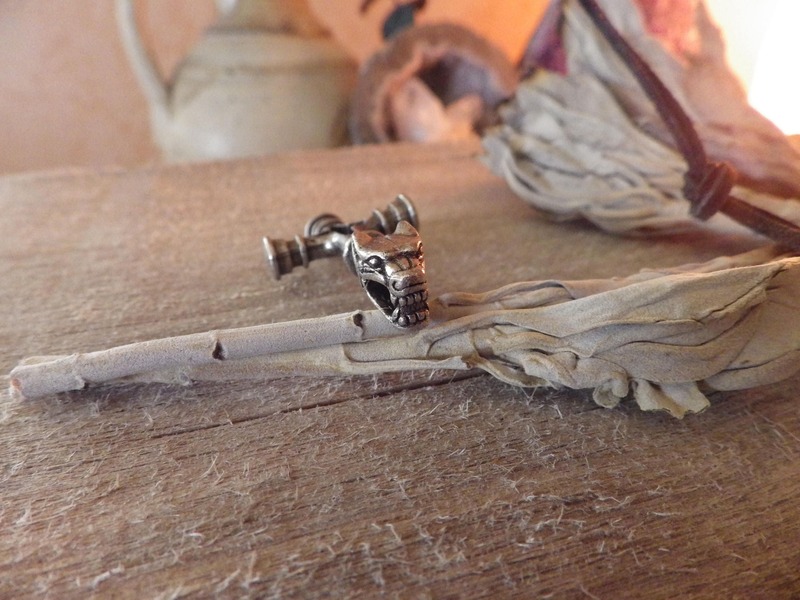 The pendant comes with a genuine leather cord.